Wikimedia Belgium has the honour of inviting you to the Freedom of Panorama Launch Reception! The Belgian Federal Parliament has recently adopted a full Freedom of Panorama legislation. This means that the beauty of Belgium can now freely be depicted on Wikipedia articles and can widely be shared online. The new law comes into force on 15 July 2016. In order to celebrate the beginning of this new outburst of creativity, we are inviting you to an evening reception where we will show you some of the astonishing images that we can now share, enrich several Wikipedia articles with photographs and share with you our plans for future projects that are now possible. Hou je van Brussel? Doe dan mee aan de Wikipedia Schrijfweek Brussel. Van 4 tot 17 april 2016. De Wikipedia Schrijfweek is een week waarin gebruikers van Wikipedia zich richten op een bepaald land. Ze schrijven gezamenlijk over onderwerpen die hen interesseren en die te maken hebben met dat land. Maar er zijn themagerichte en lokale versies van de Schrijfweek. 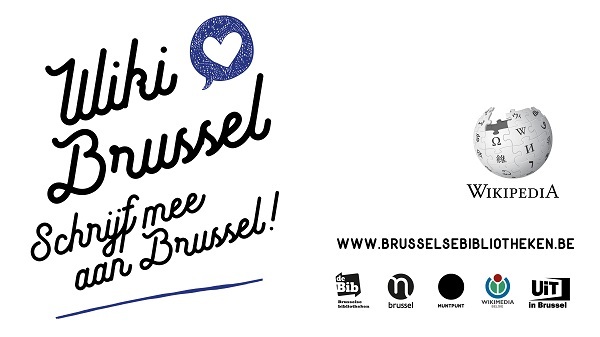 En van 4 tot en met 17 april 2016 is er een Schrijfweek over Brussel. Open Belgium is an annual conference about open knowledge, open data and more in Belgium. The conference is held in English and is organised by Open Knowledge Foundation Belgium. The 2016 edition was held in Antwerp. Three Wikimedia BE team members were present: MADe, DerekvG, Romaine. Again good financial news for our organisation! The Wikimedia Foundation, our "mother" organisation, has approved our programme for the coming six months, and has also approved the associated budget. with them what we do. We want people that know our organisation to become member. We want our members to become active in our organisation and in the Wikimedia environment. Do you want to know how the money will be spent? Come to our General Assembly, or join a monthly board meeting. Good news. HP-Interex Belgium, representing the user community of Hewlett-Packard computers, has supported Wikimedia Belgium with a donation of almost 500 euro. We thank HP-Interex and Mieken for their support! Do you also want to support us? Become a member, or support us financially.